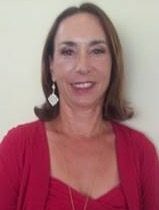 Miss Linda is a line dance instructor who currently teaches in Huntington Beach and is now coming to our Newport location! Although her new passion is line dance, she is not new to dance. She has been working with line dancing for the past 5 years and has her previous past experience as a ballroom dance instructor for Arthur Murray. She is a graduate of UC Berkeley, worked 20 years as an engineering manager for the Procter and Gamble company and with her husband lived on their sail boat for 12 years while completing a circumnavigation. She is very excited to continue to share her passion with others interested in line dancing and we are so lucky to have her!